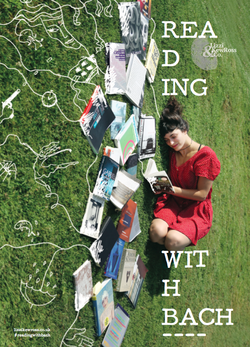 Lizzi Kew Ross and Co.’s Reading with Bach brings us dancers and musicians, and takes us into the territory of books. Reading with Bach is a kind of excavation, where the real and imagined worlds collide. Through movement and music, we watch, see, listen, engage and speculate on that strange solitary act that is reading. e, images, and actions? All this happens in our imaginations and we construct these worlds within ourselves. Like death, we read alone. Each person’s experience is solitary, individual, and unique: the list of books we read, re-read, wish for and avoid is as personal as a fingerprint. 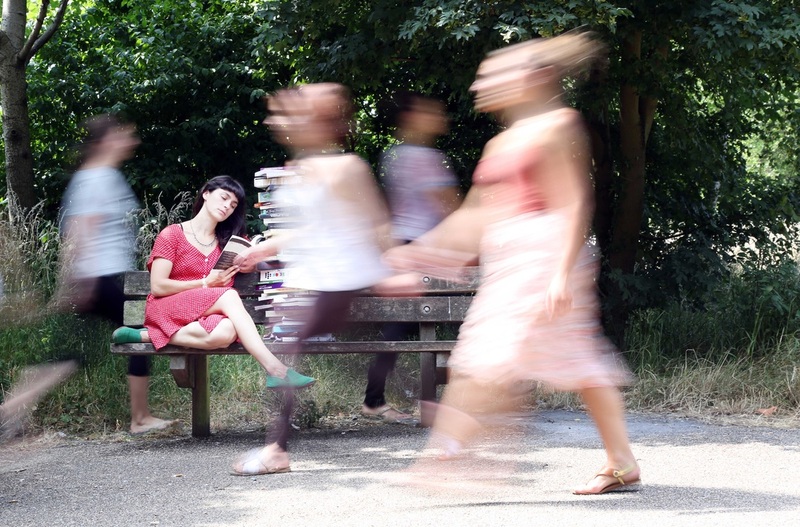 This work from three dancers and two live violinists was developed from choreographer Lizzi Kew Ross’s Walking and Talking Books events, where participants discussed one of a series of books while walking a number of interconnected routes through the City of London. It gave Lizzi the chance to observe people as they walked among crowds, closing themselves off from the exterior world by reading, in an interior world of their own. What is it to read – to turn the page and be led into nether / other worlds? Not only do we construct these worlds within ourselves but what we imagine can become so vivid, that the real and the imagined collide.